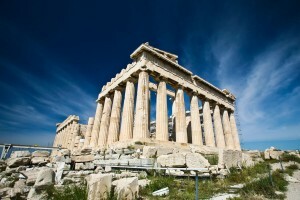 Athens Classic Marathon | JustRunLah! The Athens Classic Marathon began in 1972, with the provenance of the competitive race attributed to the Marathon race at the 1896 Olympics. 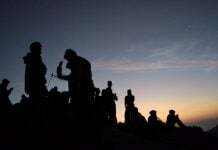 It has since become a major race, being awarded Gold Label Road Race status by the IAAF. 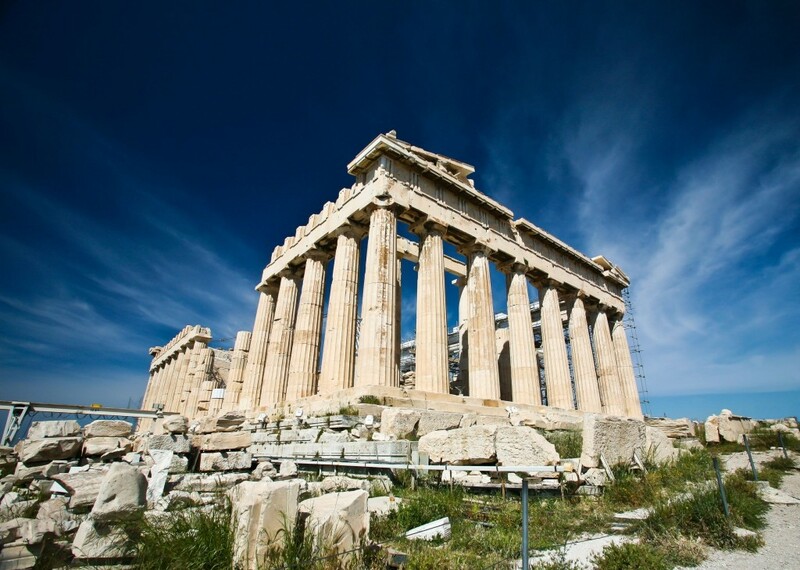 The route is based on the legend that gave the marathon race its legendary status: Pheidippides, a messenger in Ancient Greece, ran from the Battle of Marathon to Athens to announce the victory over the Persians by the Greeks. 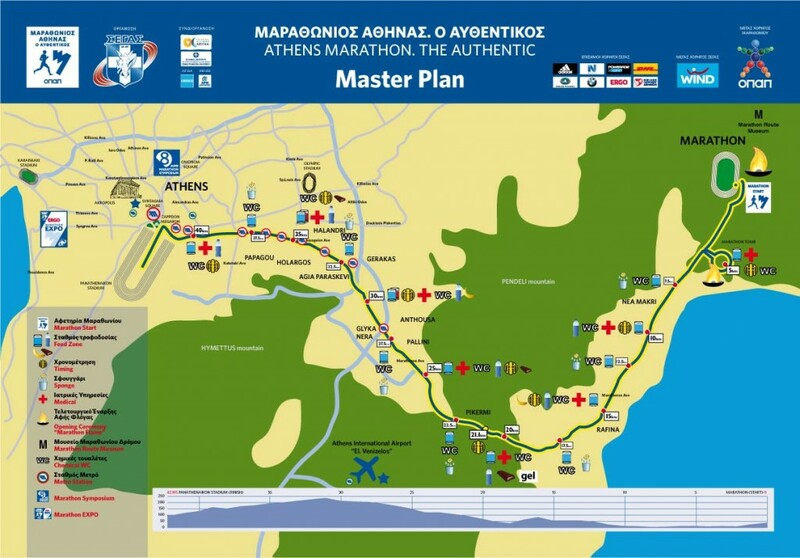 The course begins in the town of Marathon, where it passes the tomb of the Athenian soldiers, and it traces a path near the coast through Nea Makri. 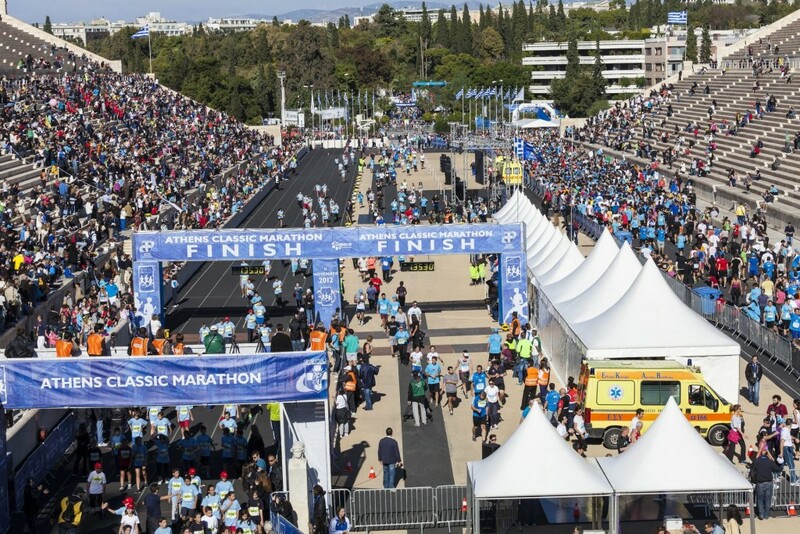 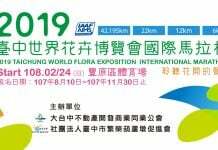 One of the toughest major marathons around, the course begins a series of up- and downhills from the 10th to 31st kilometre, through the districts of Pikermi, Pallini, Chalandri and Cholargos, with most difficult part of the course starting from Gerakas and going up to Stavros Junction. 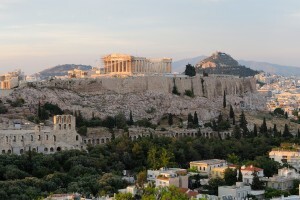 This steep ascent is followed by a steep descent leading to the Agia Paraskevi Square. 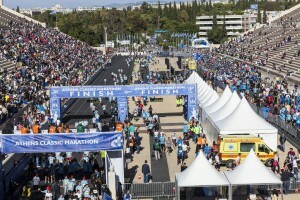 As runners enter Athens, they also pass the American Embassy, the Athens Music Hall and the Park of Liberty, the Evaggelismos Hospital, the War Museum, the Presidential Residency and the National Gardens. 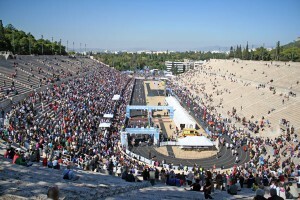 The race finishes in the Panathinaikon Stadium. 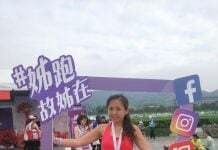 Participants can choose to run or Power Walk the original course, and the event also offers shorter distances of 5K and 10K. 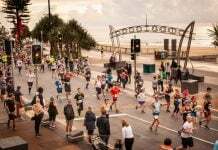 Over 40,000 runners are expected to participate in across these four race categories.